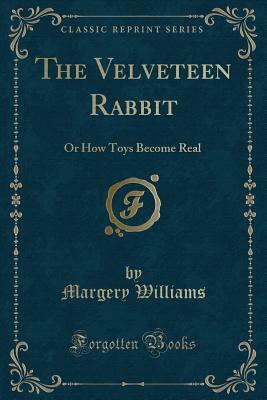 ﻿The Velveteen Rabbit is one of many presents. He is one of many around a little boy's Christmas stocking. Shiny presents, mechanical presents, big presents and expensive presents. He is put neatly aside as a never loved toy or forgotten on the floor of the nursery and the other toys shed light on what makes them special. The Velveteen Rabbit listens and despairs. He only wants to be real and he tries and tries to find what special thing will enable him to complete his quest. He looks high and low and eventually happens upon the Skin Horse, a wise and well torn toy who imparts a crucial piece of wisdom. "Real isn't how you are made," said the Skin Horse. "It's a thing that happens to you. When someone loves you for a long, long time, not just to play with, but REALLY loves you, then you become Real." In the Velveteen Rabbit we all learn how right the Skin Horse was. Margery Williams had a particularly clear window into the soul of a child and into the child's soul that lives in all of us. She taps into the need we all have to be loved and find something to love. The beautiful, poignant story of a toy, only looking for love, and his journey with a child is a timeless classic, often imitated but never surpassed. Generations of adults have been drawn to revisit this gem over the whole course of their lives and then pass along the treasure in these pages to their own children.